Den nya PU-507 skickar HDMI över EN Cat6 kabel. Dessutom skickar den RS-232 och IR över samma kabel. The PU-507-KIT allows uncompressed HDMI signals and IP data to be transmitted over a Single CAT5e/6 cable. 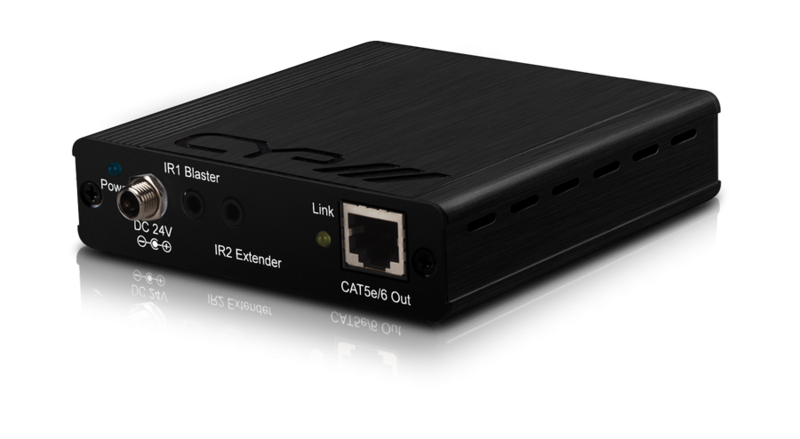 This solution has the added features of RS-232 and 2-way IR control functionality over the same CAT5e/6 cable. These combined HDMI and control signals can be transmitted up to lengths of 100 meters. v1.4 HDMI with 3D, 4k - 2k support. Supports HDCP repeating and CEC functions. Uncompressed data transfer over single CAT cable (100m - CAT6: 80m - CAT5e). Audio support up to 7.1CH & Dolby TrueHD, DTS-HD. 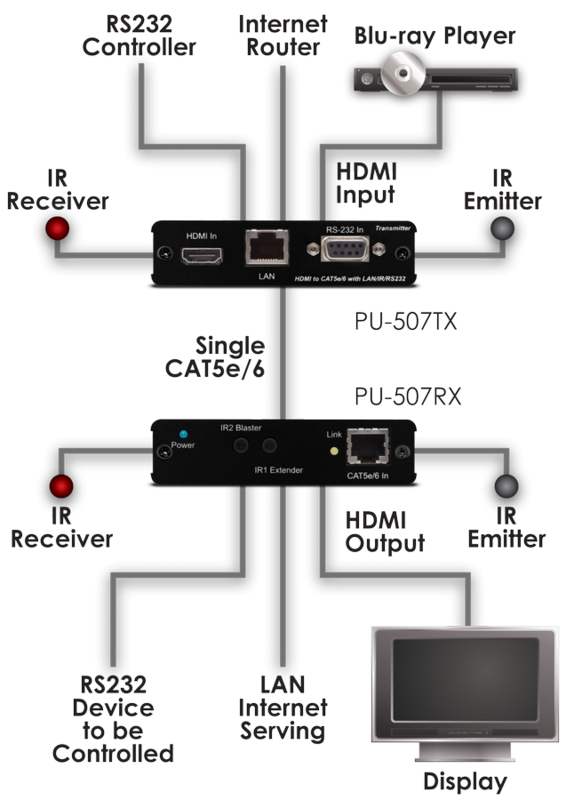 5Play™ convergence: HDMI, LAN, POE & Control (IR & RS232). 1x Stereo mini-jack [1x Infra Red Receiver]. Receiver: 105mm (W) x 110mm (D) x 26mm (H).